*Splurge on something that you've had your eye on but couldn't justify spending money on. *Let the laundry and housecleaning go for a day while you relax with your feet up. *Play hookey and take the afternoon off of work. Pack a healthy lunch and have a picnic. *Spend the weekend watching your favorite old movies on TV. *Have a favorite dessert that you've been avoiding...but only have one! You don't want to undo all the wonderful progress you've made. Set a series of 5 pound "goal weights" for yourself. Each time you reach one, give yourself a reward. You deserve it. If you've been doing the steps, you should be seeing some results whether it's in a lost pound or two, extra energy, strong motivation or just an overall feeling that life is good because you're in control. If you haven't been actively putting these strategies to work for you, why not? What are you waiting for? 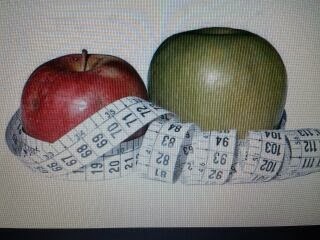 This post is the final in a series excerpted from my class "Six Powerful Weight Loss Strategies"